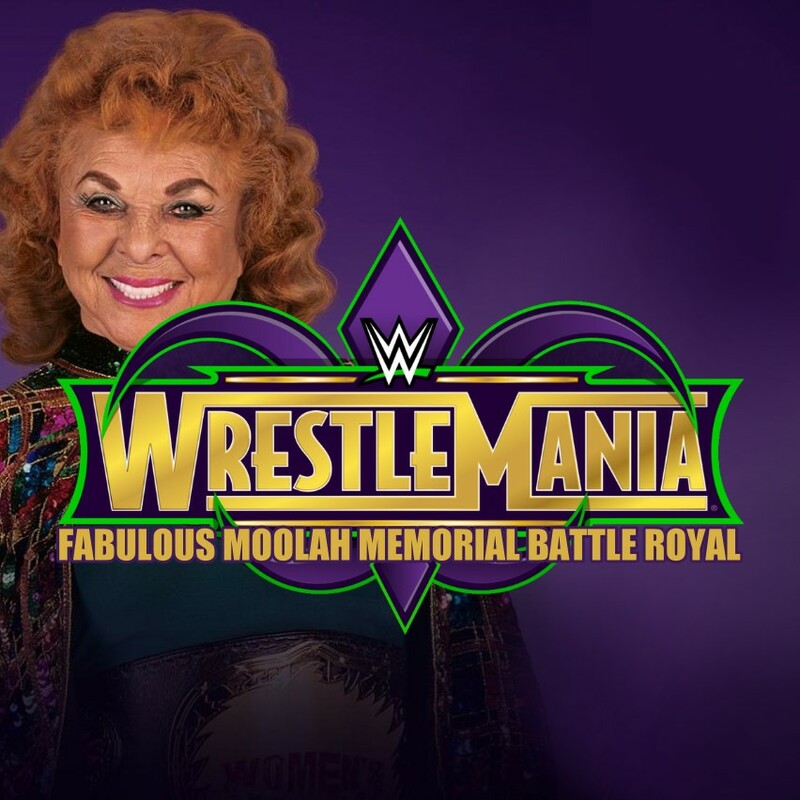 As noted, the first-ever Fabulous Moolah Memorial Battle Royal will take place at WrestleMania 34 with female Superstars from WWE NXT, RAW and SmackDown, possibly competing for a trophy as the male Superstars do in the Andre the Giant Memorial Battle Royal. 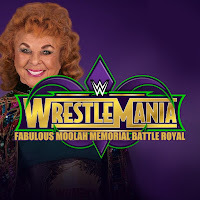 The Superstars of Raw, SmackDown and WWE NXT's Women's divisions will have the chance to make history yet again when they compete in the inaugural Fabulous Moolah Memorial Battle Royal at WrestleMania 34. As first announced on Raw, this ground-breaking battle royal will pay tribute to the first-ever WWE Women's Champion, The Fabulous Moolah, who not only paved the way for female competitors through the years, but also played a pivotal role in the first several WrestleMania events. In the highly-anticipated free-for-all, members of the Women's divisions from Raw, SmackDown LIVE and WWE NXT will compete to be the last Superstar standing in the over-the-top-rope melee. Who will go on to make history and carve out their WrestleMania Moment by winning the inaugural match on The Grandest Stage of Them All? Find out at WrestleMania, Sunday, April 8 at a special start time of 7 ET/4 PT, streaming live on the award-winning WWE Network.